Well, we are all constantly competing with one another in this digital era. Today, education has become a need to survive, but there’s always more than the economic sector demands for. If you are a Psychologist, Teacher, Counsellor or any other industry professional, having a certification can make a big difference in how you are perceived and measured against your competitors. Earning a certification gives you an edge over other professionals at any given time or stage of your career. Certification courses come with a set of unique advantages, personally and professionally. It can help you in landing a job or get a promotion, professional development and more. One of the world’s top universities, the University of California Los Angeles, Extension (UCLA Extension) established in 1917 is known for its exclusive certification courses and successful candidates. The Global Career Counsellor Certification Course is one of the most sought after courses offered by the UCLA Extension. 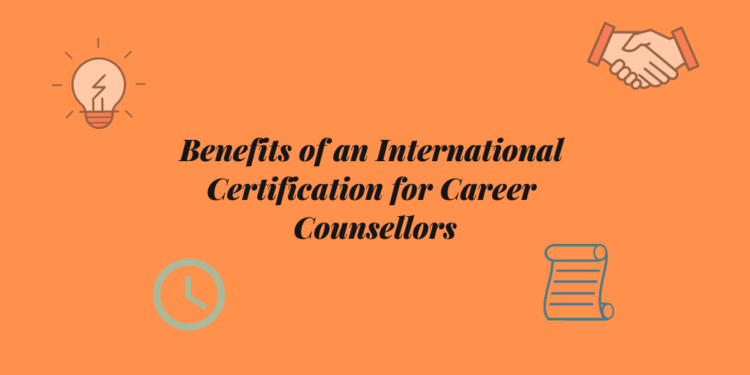 With over 3000+ candidates already enrolled for the Global Career Counsellor Certification Course, it has become a must-have certification for Teachers, Counsellors, Educators and any professional who wants to have a career in the counselling industry. Besides being an exclusive course by the UCLA Extension, the Global Career Counsellor Certification Course is a premium certification available ONLINE only. The all-encompassing course covers the nuances of career counselling, right from the most effective counselling techniques, the best practices of the industry and the trends that are currently shaping the field. As they say ‘learning never stops’, the GCC certification gives you immense knowledge about the education and career counselling industry. The certification acts as a validation to your knowledge with a globally recognized name like the UCLA Extension. It provides an authentic certification that recognizes you as a Certified Career Counsellor. The program plays a major role in scaling up your career as a Career Counsellor. It equips you with the required skillsets to set you apart from the regular counsellors. The field of knowledge includes everything, right from career options, college application process, course structures and other aspects of the education field. The GCC certification course can make you fully capable of navigating a student and fostering his/her smooth transition from school to college. The course helps you gain global recognition with a well-recognized name – the UCLA Extension. It guides you in offering your expertise better to students, parents and/or institutions. The course covers deep insights that help you stay ahead of the game by sharing all the latest updates in the field of education, along with new updates in career counselling. With 3000+ candidates enrolled with the course, it gives you an opportunity to connect and learn from the GCC community. An international certification always holds weight-age as compared to other professional courses. This adds …. The Global Career Counsellor Certification Course by UCLA Extension doesn’t limit its dimensions for bright people like you. One could be a Freelancer, Housewife, working as a Manager in an MNC or running a Business. Every year zillions of schools and parents need Career Counsellors to guide their children towards a better future. Ever since CBSE has made it mandatory for schools to have a career counselling wing, the demand for Career Counsellors has increased rapidly. What are you waiting for? Grab this opportunity to earn an international certification today!